DANA POINT – The heavy rainstorms that hit Southern California earlier this month helped remind Dana Point Harbor boaters of the bay’s problem areas, specifically the sand bar, as shoaling increased the navigational hazard’s size and width. “Our intention was to bring the growing shoal to our boaters’ attention, to warn them of the growing navigational hazard within Dana Point Harbor,” Lenthall said. Gross explained that the county and Harbor Patrol were already working on getting the buoys in place when he received the email. Two additional buoys were placed on Tuesday, March 4 the situation will continue to be monitored. Harbor Patrol will relocate the shoal buoys as required, he added. Boaters transiting the harbor are familiar with the shoal that currently extends nearly the entire length of the inside of the mile-long outer breakwater, not deeper than 3 or 4 feet at low tide. According to DPBA, for the first approximately 1,500 feet of the breakwater, the shoal extends as much as 150 feet into the channel, and only a few feet deep even at high tide; at low tide much of it is exposed as a sandbar (locally referred to as Danalina Beach). There are shoal buoys that fairly accurately outline the shoal; an additional buoy was added last summer to account for the growing shoal. The shoal grows naturally over time, and is maintained every few years when the Harbor Department has the harbor dredged. But the natural process starts all over. The torrential rainfall and current state of the shoal may expedite a dredging project scheduled to begin in 2015 or 2016, he added. 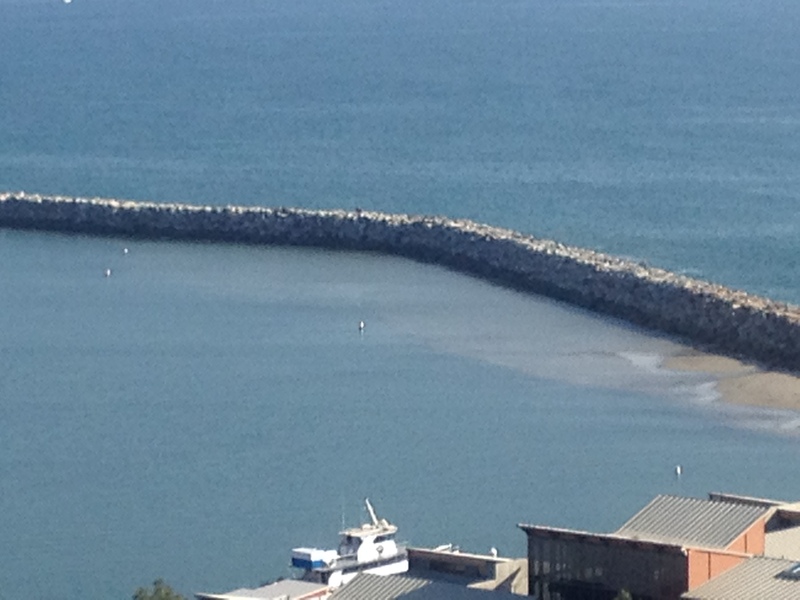 The $3 million dredging project falls under the jurisdiction of the County of Orange and OC Dana Point Harbor. “We are right on schedule for dredging,” Gross said. “We try to dredge every six to eight years depending on the shoaling “Last time we went eight years and if we stay on schedule we will get to it again in our seventh year,” he added. . In the meantime, Lenthall advises boaters to be mindful of the shoal.